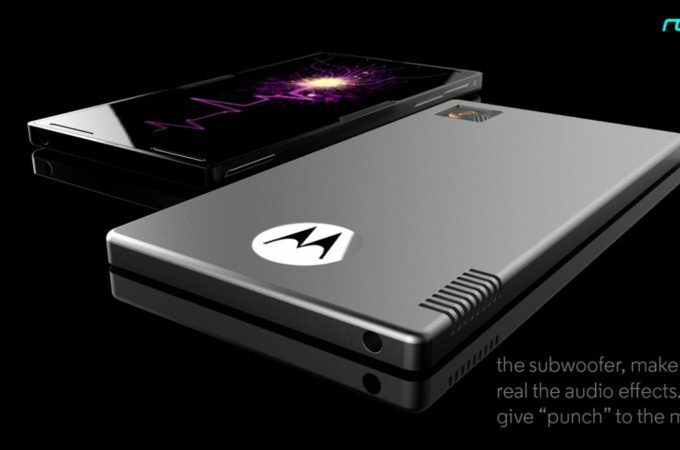 Some of the Motorola series of phones seem to have been abandoned for good, like the RAZR and ROKR for example, but when it comes to concept phones, we’ve long learned to never say never. 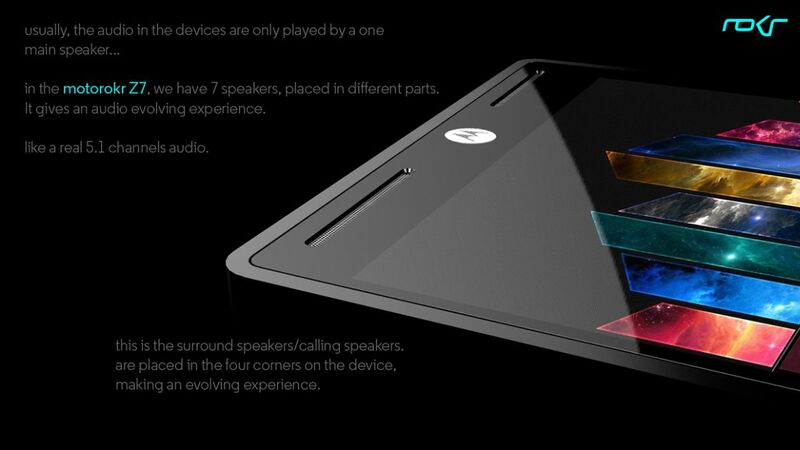 Today we came across the Motorola motoROKR Z7, a beast of a music phone, that even includes a subwoofer. 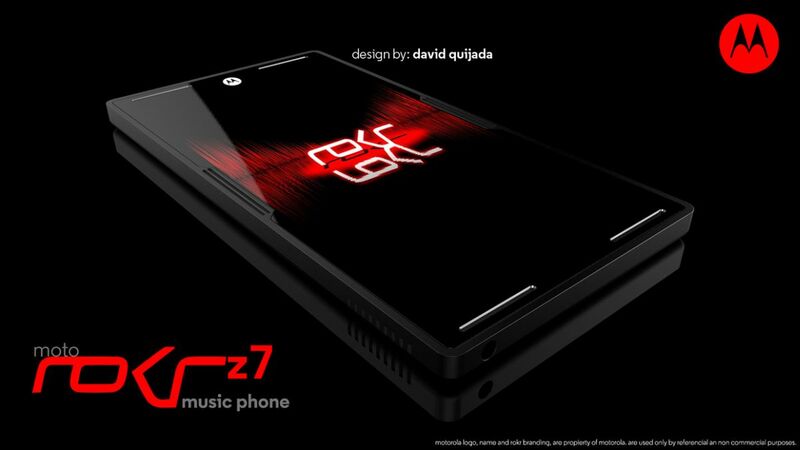 This concept has been created by David Quijada, from Mexico City, the author of fantastic renders that we showed you here. 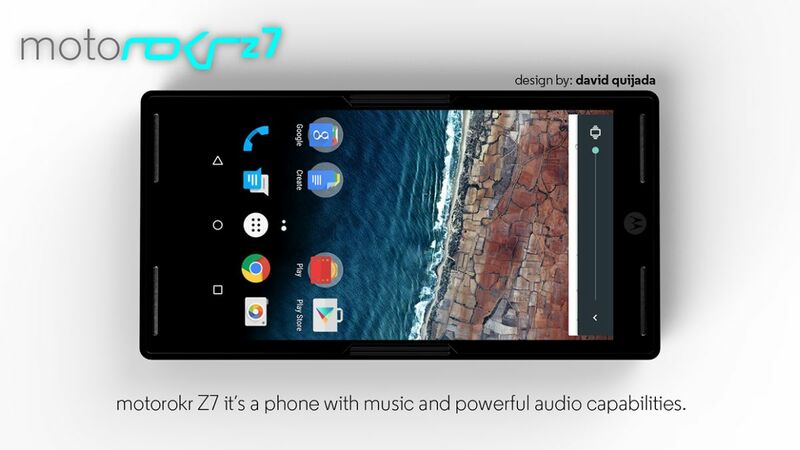 motoROKR Z7 is both a high end phone and a music phone, with powerful acoustics. There are 7 speakers here, placed in different areas of the device and the idea is to achieve a real 5.1 channel acoustic system. The central speakers offer the main sounds and it’s based on two powerful speakers, for a clear and vivid audio experience. 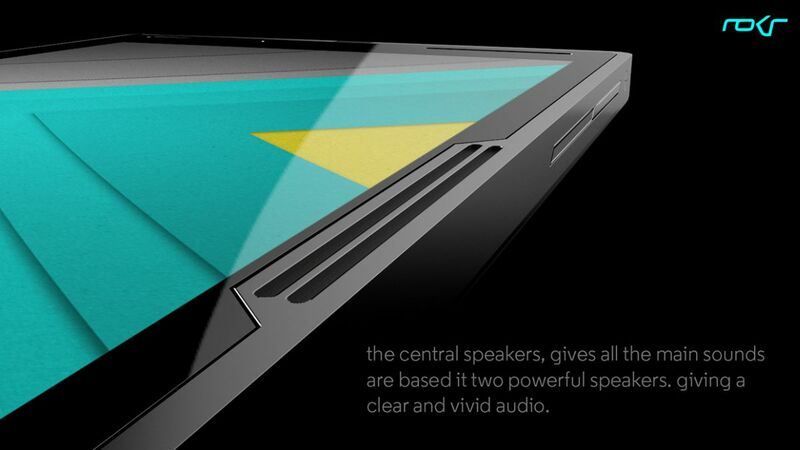 The subwoofer has been included on the left side and offers more “punch” within the music. 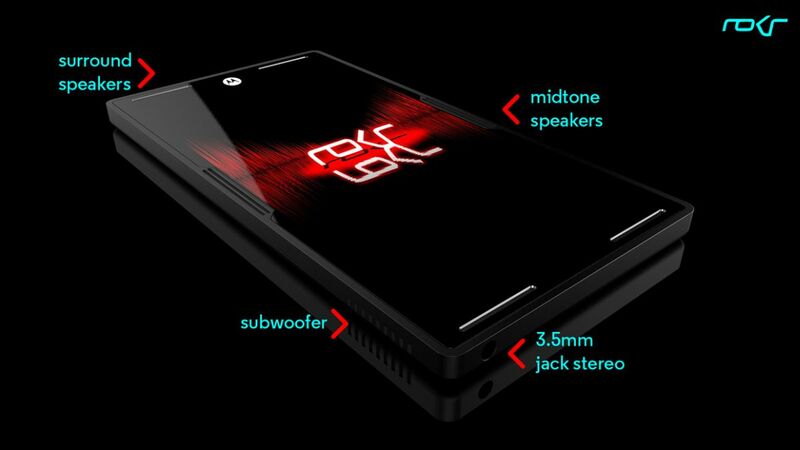 As I said before, the device is a powerhouse, meaning it comes with high end specs, such as Qualcomm Snapdragon 820 CPU, 5 inch OLED 4K display and 6 GB of RAM. 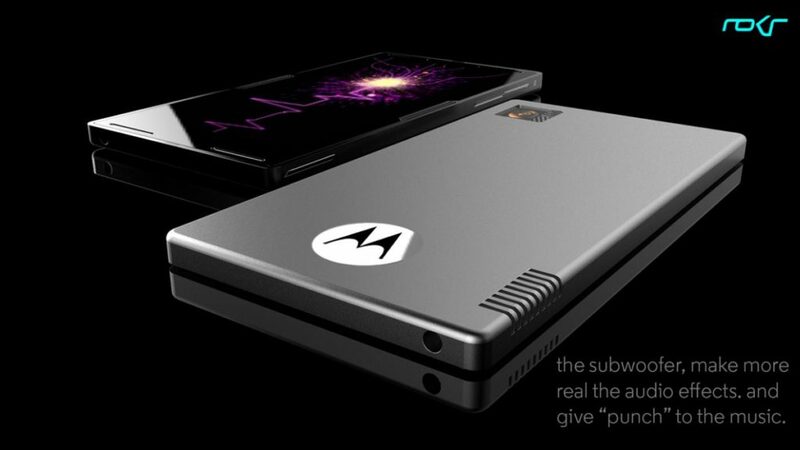 There’s also Bang & Olufsen acoustics, a 5000 mAh battery and somehow all of those are crammed within a 6.5 mm thick chassis.